The etfa CP118 conveyor is a racetrack chain pallet conveyor. Accumulation is obtained from the rubbing of the pallet on the chain specially designed for this purpose. 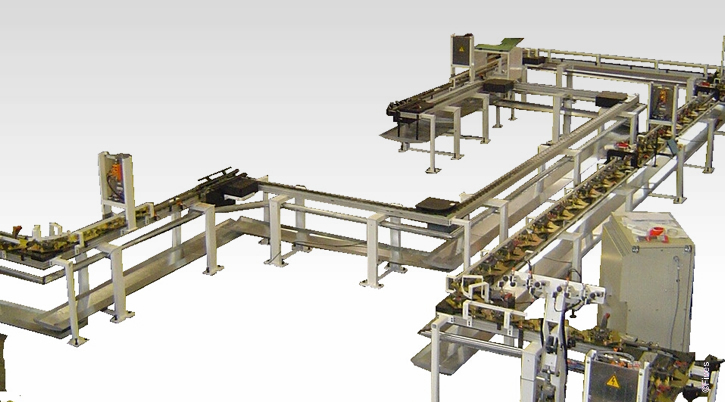 Thanks to the modular nature of its components the etfa CP118 conveyor makes it possible to adapt to installation constraints regardless of how complex the conveying circuit may be. Reliable : works despite the presence of shavings, grease and dust. dynamic accumulation of parts without wear or contact.